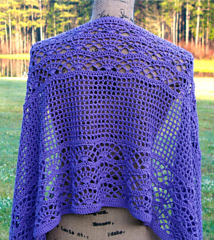 If you know how to do the single and double crochet stitches, you can make the Vintage Violet Shawl! 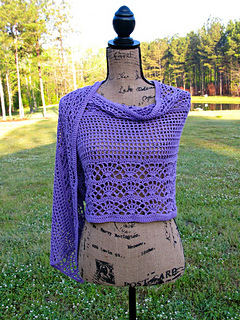 It’s an elegant wearing shawl that has a lacy look. You could dress up any evening wear and why not with a pair of jeans too? There is a stitch diagram included for the right and left-handed crocheter. You are welcome to sell what you make using my patterns. 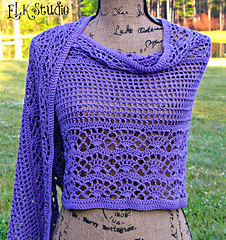 Please include a link or reference to my site (www.elkstudiohandcraftedcrochetdesigns.com) for the pattern. Pattern is copyright protected; it should not be reproduced, redistributed, or displayed publicly in any way. Have any questions? Contact me! !